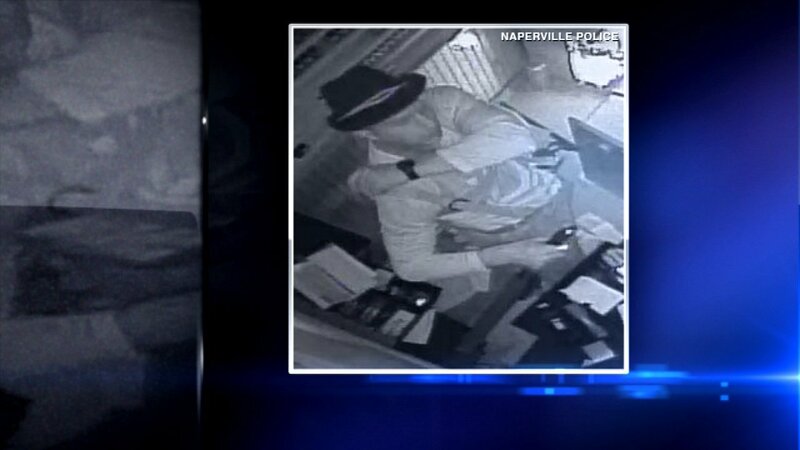 NAPERVILLE, Ill. -- The Naperville Police Department released photos Tuesday of a person suspected of robbing a nail salon on Halloween last year in west suburban Naperville. The burglary happened Oct. 31, 2015 at Nail Care of Naperville, in the 936 S. Route 59, and the burglar entered the store through "an adjacent multipurpose room near the rear entrance of the business," a statement from Naperville Crime Stoppers said. The suspect, described as a white male wearing a lederhosen costume, took an undisclosed amount of money, police said. Authorities are offering a reward of up to $1,000 for information leading to an arrest. Anyone with information is asked to contact crime stoppers at (630) 420-6006.